Today you are 15 months old. You have really grown up fast in the last month. So many changes! The biggest thing that happened is that you started talking! Grandma Nan and Paw Paw were visiting in the middle of October, and one morning at breakfast, you threw your cheerios on the floor and said Uh oh. I was upstairs getting ready for work and missed the whole thing. I was a little bit sad, but you said it again and again to cheer me up. You have said a lot of words since then. Let's see if I can remember some of them: Mama, Dada, Nigh-Nigh, Baby, and No. Lately you have been raising your arms up over your head and saying whoa or yay! I think you've also said "Mo" (your daycare teacher's name) and hi. You chatter constantly. You say "uh oh" first thing when you wake up in the morning. Once when you were sleeping in bed with us, you snuggled up against me and whispered "uh oh" in your sleep. You are great. You also started doing sign language this month. I guess this is something you learned at daycare. They taught you the sign for "more." You use it from time to time, but you don't know what it means. You just think it is fun. I'm trying to teach you the sign for "please," but so far, you just give me a perplexed look. You learned how to go up and down the stairs all by yourself. You are so cute. 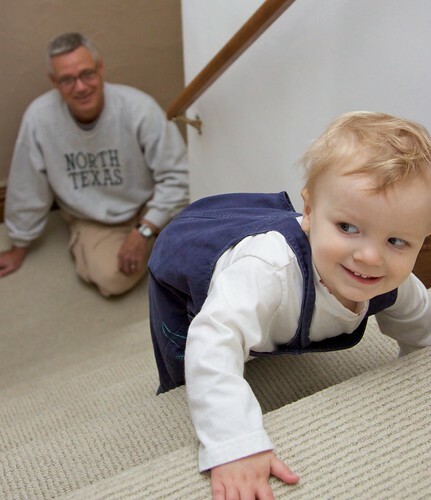 Going up and down the stairs is your favorite game. ﻿At night when it is bath time, you are so cute leading the way up the stairs for us. When you are going down the stairs, you go backwards, one at a time. You figured out how to do that on your own, nobody showed you. You are still a problematic eater. At every meal, I pretty much have to get out every kind of food that we have in hopes that I can find something you'll eat. 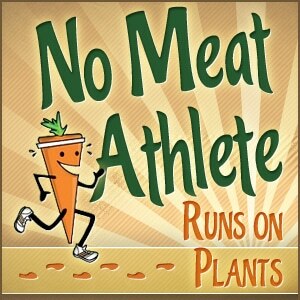 And just because you've eaten something one day does not mean you will ever want it again. The exception to this is breakfast-- your favorite breakfast for the past couple of months has been a waffle and a banana. That's the one thing I know you will always eat. Sometimes you are so hungry that you eat 2 waffles and a banana. Breakfast is your favorite meal, and I love that about you (because breakfast is my favorite meal too). You are getting better about holding your food (say, a waffle or sandwich) and taking little bites out of it. Before, I would have to break it into little pieces or else you would try to cram the whole thing in your mouth. You are also becoming interested in feeding yourself with a spoon. You've taken a renewed interest in applesauce, I think specifically because you like to practice feeding yourself. The other day, you did the cutest thing I have ever seen in my entire life. You were romping around the family room and started rifling through your diaper bag (one of your favorite things to do). You found a small container of applesauce and a spoon that I had packed in case you needed a snack while we were out. You started tapping the spoon on top of the applesauce container and then touching the spoon to your lips. It was so darling. I opened the applesauce container and tried to get you to feed yourself, but instead you hurled the spoon across the room and plunged your hand into the applesauce. I think that's where the cuteness of the whole episode broke down a little bit. You got your 2 top molars this month, that was an ordeal. You're working on one of your bottom ones right now. You got a haircut when your Grandma Nan was visiting. You look so grown up. You walk if you are holding onto something or if you are holding one of our hands. You also walk if you are pushing something. At daycare you walk around with a toy cart. We don't have a cart at home, but you will push around a kitchen chair instead. ﻿You have also been known to push around a basket of laundry. It is kind of hilarious. We had Halloween this month. You were in a parade at daycare. You went as a rock star. 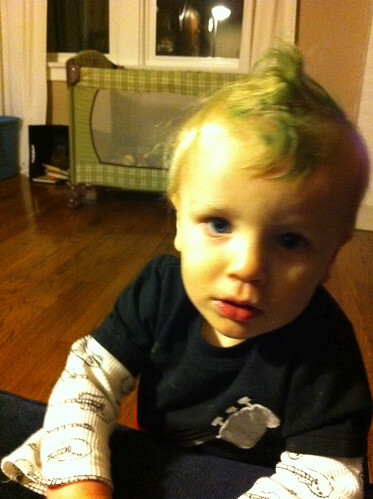 I gave you a green mohawk and you looked real cool. We didn't go trick or treating on Halloween night though. Maybe next year. William, you have become this wonderful little fun-loving person. You just love to play and play and giggle and laugh and have a great time. You love anything that involves your body being turned upside down and rotated or spun. You love giving hugs. That is my favorite thing in the world, when you come over to me and grin and give me a hug. You give the best hugs. I could hug you forever. 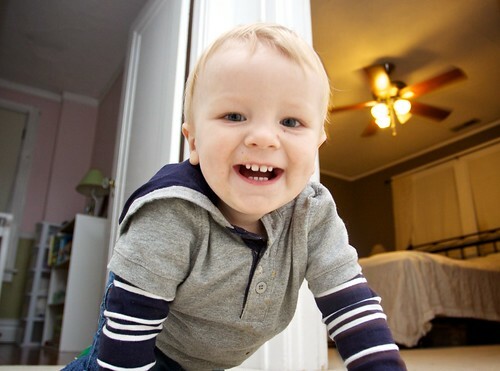 WIlliam is just adorable :) I'm just a random lurker of your blog (which I discovered via google). It's been nice to read stories from someone else who is trying to balance an academic career with being a mom. So, I happened to glance at your twitter feed today and my jaw almost hit the floor when I saw Kate Clancy's name. Kate and I organized together for years for a grad union at Yale. Talk about a small liberal-academic-mama world!